Gaius Cilnius Maecenas ( /maɪˈsiːnəs/ ; circa 70 BC – 8 BC) was an ally, friend and political advisor to Octavian (who was to become the first Emperor of Rome as Caesar Augustus) as well as an important patron for the new generation of Augustan poets, including both Horace and Virgil. During the reign of Augustus, Maecenas served as a quasi-culture minister to the Emperor but in spite of his wealth and power he chose not to enter the Senate, remaining of equestrian rank. The Battle of Mutina took place on 21 April 43 BC between the forces loyal to the Senate under consuls Gaius Vibius Pansa and Aulus Hirtius, supported by the legions of Caesar Octavian, and the Caesarian legions of Mark Antony who were besieging the troops of Decimus Brutus. The latter, one of Caesar's assassins, held the city of Mutina in Cisalpine Gaul. The Battle of Philippi was the final battle in the Wars of the Second Triumvirate between the forces of Mark Antony and Octavian and the leaders of Julius Caesar's assassination, Marcus Junius Brutus and Gaius Cassius Longinus in 42 BC, at Philippi in Macedonia. The Second Triumvirate declared this civil war ostensibly to avenge Julius Caesar's assassination in 44 BC, but the underlying cause was a long-brewing conflict between the so-called Optimates and the so-called Populares. 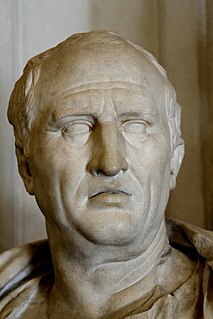 The Gaius Maecenas mentioned in Cicero  as an influential member of the equestrian order in 91 BC may have been his grandfather, or even his father. The testimony of Horace  and Maecenas's own literary tastes imply that he had profited from the highest education of his time. His great wealth may have been in part hereditary, but he owed his position and influence to his close connection with the Emperor Augustus. He first appears in history in 40 BC, when he was employed by Octavian in arranging his marriage with Scribonia, and afterwards in assisting to negotiate the Treaty of Brundisium and the reconciliation with Mark Antony. As a close friend and advisor he had even acted as deputy for Augustus when he was abroad. It was in 38 BC that Horace was introduced to Maecenas, who had before this received Lucius Varius Rufus and Virgil into his intimacy. In the "Journey to Brundisium,"  in 37, Maecenas and Marcus Cocceius Nerva – great-grandfather of the future emperor Nerva – are described as having been sent on an important mission, and they were successful in patching up, by the Treaty of Tarentum, a reconciliation between the two claimants for supreme power. During the Sicilian war against Sextus Pompeius in 36, Maecenas was sent back to Rome, and was entrusted with supreme administrative control in the city and in Italy. He was vicegerent of Octavian during the campaign that led to the Battle of Actium, when, with great promptness and secrecy, he crushed the conspiracy of Lepidus the Younger; during the subsequent absences of his chief in the provinces he again held the same position. Lucius Varius Rufus was a Roman poet of the Augustan age. Marcus Cocceius Nerva was consul of the Roman Republic in 36 BC, together with Lucius Gellius Publicola. His family were of Umbrian origin and were supporters of Marcus Antonius, providing him with a number of generals and diplomats. During the latter years of his life he fell somewhat out of favour with his master. Suetonius  attributes the loss of the imperial favour to Maecenas' having indiscreetly revealed to Terentia, his beautiful but difficult wife, the discovery of the conspiracy in which her brother Lucius Licinius Varro Murena  was implicated, but according to Cassius Dio  (writing in the early 3rd century AD) it was due to the emperor's relations with Terentia. Maecenas died in 8 BC, leaving the emperor sole heir to his wealth. Lucius Licinius Varro Murena was a Roman politician who was accused of conspiring against the emperor Augustus, and executed without a trial. Cassius Dio or Dio Cassius was a Roman statesman and historian of Greek origin. He published 80 volumes of history on ancient Rome, beginning with the arrival of Aeneas in Italy. The volumes documented the subsequent founding of Rome, the formation of the Republic, and the creation of the Empire, up until 229 AD. Written in Ancient Greek over 22 years, Dio's work covers approximately 1,000 years of history. Many of his 80 books have survived intact, or as fragments, providing modern scholars with a detailed perspective on Roman history. Opinions were much divided in ancient times as to his personal character; but the testimony as to his administrative and diplomatic ability was unanimous. He enjoyed the credit of sharing largely in the establishment of the new order of things, of reconciling parties, and of carrying the new empire safely through many dangers. To his influence especially was attributed the more humane policy of Octavian after his first alliance with Antony and Lepidus. The best summary of his character as a man and a statesman, by Marcus Velleius Paterculus,  describes him as "of sleepless vigilance in critical emergencies, far-seeing and knowing how to act, but in his relaxation from business more luxurious and effeminate than a woman." Expressions in the Odes of Horace  seem to imply that Maecenas was deficient in the robustness of fibre which Romans liked to imagine was characteristic of their city. His character as a munificent patron of literature - which has made his name a household word - is gratefully acknowledged by the recipients of it and attested by the regrets of the men of letters of a later age, expressed by Martial and Juvenal. His patronage was exercised, not from vanity or a mere dilettante love of letters, but with a view to the higher interest of the state. He recognized in the genius of the poets of that time not only the truest ornament of the court, but the power of reconciling men's minds to the new order of things, and of investing the actual state of affairs with an ideal glory and majesty. The change in seriousness of purpose between the Eclogues and the Georgics of Virgil was in a great measure the result of the direction given by the statesman to the poet's genius. A similar change between the earlier odes of Horace, in which he declares his epicurean indifference to affairs of state, and the great national odes of the third book has been ascribed by some to the same guidance. However, since the organization of the Odes is not entirely chronological, and their composition followed both books of Satires and the Epodes, this argument is plainly specious; but doubtless the milieu of Maecenas' circle influenced the writing of the Roman Odes (III.1-6) and others such as the ode to Pollio, Motum ex Metello (II.1). Maecenas endeavoured also to divert the less masculine genius of Propertius from harping continually on his love to themes of public interest, an effort which to some extent backfired in the ironic elegies of Book III. But if the motive of his patronage had been merely political, it never could have inspired the affection which it did in its recipients. The great charm of Maecenas in his relation to the men of genius who formed his circle was his simplicity, cordiality and sincerity. Although not particular in the choice of some of the associates of his pleasures, he admitted none but men of worth to his intimacy, and when once admitted they were treated like equals. Much of the wisdom of Maecenas probably lives in the Satires and Epistles of Horace. It has fallen to the lot of no other patron of literature to have his name associated with works of such lasting interest as the Georgics of Virgil, the first three books of Horace's Odes, and the first book of his Epistles. Maecenas sited his famous gardens, the first gardens in the Hellenistic-Persian garden style in Rome, on the Esquiline Hill, atop the Servian Wall and its adjoining necropolis, near the gardens of Lamia. It contained terraces, libraries and other aspects of Roman culture. Maecenas is said to have been the first to construct a swimming bath of hot water in Rome,  which may have been in the gardens. The luxury of his gardens and villas incurred the displeasure of Seneca the Younger. Though the approximate site is known, it is not easy to reconcile literary indications to determine the gardens' exact location, whether or not they lay on both sides of the Servian ager and both north and south of the porta Esquilina. Common graves of the archaic Esquiline necropolis have been found near the north-west corner of the modern Piazza Vittorio Emanuele, that is, outside the Esquiline gate of antiquity and north of the via Tiburtina vetus ; most probably the horti Maecenatiani extended north from this gate and road on both sides of the ager. The "Auditorium of Maecenas", a probable venue for dining and entertainment, may still be visited (upon reservation  ) on Largo Leopardi near Via Merulana. His name has become a byword in many languages  for a well-connected and wealthy patron. For instance, John Dewey, in his lectures Art as Experience, said "Economic patronage by wealthy and powerful individuals has at many times played a part in the encouragement of artistic production. Probably many a savage tribe had its Maecenas." He is celebrated for this role in two poems, the Elegiae in Maecenatem , which were written after his death and collected in the Appendix Vergiliana . In various languages, it has even been coined into a word for (private) patronage (mainly cultural, but sometimes wider, usually perceived as more altruistic than sponsorship). A verse of the student song "Gaudeamus igitur" wishes longevity upon the charity of the students' benefactors ("Maecenatum", genitive plural of "Maecenas"). In Poland and Western Ukraine, a lawyer would customarily be addressed with the honorific "Pan Mecenas", as lawyers were considered to be philanthropists and patrons of the arts. Maecenas was portrayed by Alex Wyndham in the second season of the 2005 HBO television series Rome. He was portrayed by Russell Barr in the made-for-TV movie Imperium: Augustus. He is also featured in one episode of the second series of Plebs on ITV. Wikimedia Commons has media related to Gaius Maecenas . ↑ Dewey, John (1934). Art as Experience . New York: G.P. Putnam's Sons. p. 9. ↑ Fitzgerald, F. Scott (1925). The Great Gatsby . New York: Scribner. p. 4. ISBN 978-0-7432-7356-5. Marcus Valerius Messalla Corvinus was a Roman general, author and patron of literature and art. The Great Fire of Rome was an urban fire in July of the year 64 AD. It caused widespread devastation in the city on 18 July, before being brought under control after six days. Differing accounts either blame Emperor Nero for initiating the fire or credit him with organizing measures to contain it and provide relief for refugees. According to Tacitus and later Christians, Nero blamed the devastation on the Christian community in the city, initiating the empire's first persecution against the Christians. Vipsania Agrippina was the first wife of the Emperor Tiberius. She was the daughter of Marcus Vipsanius Agrippa and Pomponia Caecilia Attica, granddaughter of Titus Pomponius Atticus. By marriage, she was a great-niece to Quintus Tullius Cicero. Scribonia was the second wife of Octavian, later the Roman Emperor Augustus, and the mother of his only natural child, Julia the Elder. Through her youngest daughter she was the mother-in-law of the Emperor Tiberius, great-grandmother of the Emperor Caligula and Empress Agrippina the Younger, and great-great grandmother of the Emperor Nero. The Odes are a collection in four books of Latin lyric poems by Horace. The Horatian ode format and style has been emulated since by other poets. Books 1 to 3 were published in 23 BC. According to the journal Quadrant, they were "unparalleled by any collection of lyric poetry produced before or after in Latin literature". A fourth book, consisting of 15 poems, was published in 13 BC. Marcus Livius Drusus Claudianus was a senator of the Roman Republic. He was born with the name Appius Claudius Pulcher, into the patrician family of the Claudii. 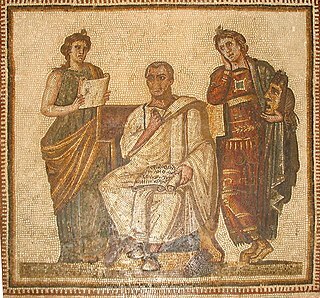 According to Suetonius, Drusus was a direct descendant of the consul and censor Appius Claudius Caecus. He was descended from Caecus via the first Appius Claudius Pulcher, who was consul in 212 BC and Caecus's great-grandson. 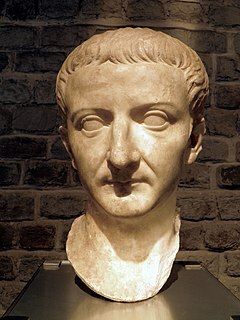 His daughter Livia became the wife of the first Roman Emperor Augustus, and he was thus a direct ancestor of the Julio-Claudian emperors Tiberius, Caligula, Claudius and Nero. Julia the Elder, known to her contemporaries as Julia Caesaris filia or Julia Augusti filia, was the daughter of Augustus Caesar, the first Roman Emperor, and his second wife, Scribonia. Julia was also stepsister and second wife of the Emperor Tiberius; maternal grandmother of the Emperor Gaius (Caligula) and the Empress Agrippina the Younger; grandmother-in-law of the Emperor Claudius; and maternal great-grandmother of the Emperor Nero. Marcus Claudius Marcellus was the eldest son of Gaius Claudius Marcellus Minor and Octavia Minor, sister of Augustus. He was Augustus' nephew and closest male relative, and began to enjoy an accelerated political career as a result. He was educated with his cousin Tiberius and traveled with him to Hispania where they served under Augustus in the Cantabrian Wars. In 25 BC he returned to Rome where he married his cousin Julia, who was the emperor's daughter. Marcellus and Augustus' general Marcus Vipsanius Agrippa were the two popular choices as heir to the empire. According to Suetonius, this put Agrippa at odds with Marcellus, and is the reason why Agrippa traveled away from Rome to Mytilene in 23 BC. The Gardens of Maecenas, built by Gaius Maecenas, an Augustan-era patron of the arts, were the first gardens in the Hellenistic-Persian garden style in Rome. He sited them on the Esquiline Hill, atop the agger of the Servian Wall and its adjoining necropolis, near the gardens of Lamia. The Satires is a collection of satirical poems written by the Roman poet, Horace. Composed in dactylic hexameters, the Satires explore the secrets of human happiness and literary perfection. Published probably in 35 BCE and at the latest, by 33 BCE, the first book of Satires represents Horace's first published work. It established him as one of the great poetic talents of the Augustan Age. The second book was published in 30 BCE as a sequel. Augustan literature is the period of Latin literature written during the reign of Augustus, the first Roman emperor. In literary histories of the first part of the 20th century and earlier, Augustan literature was regarded along with that of the Late Republic as constituting the Golden Age of Latin literature, a period of stylistic classicism. This article incorporates text from a publication now in the public domain : Chisholm, Hugh, ed. (1911). "Maecenas, Gaius" . Encyclopædia Britannica . 17 (11th ed.). Cambridge University Press. pp. 296–297. André, Jean-Marie (1967). "Mécène. Essai de biographie spirituelle". Annales littéraires de l'Université de Besançon (in French) (86). Philippe Le Doze, "Mécène. Ombres et flamboyances", Paris, Les Belles Lettres, 2014. S. Lyons, Music in the Odes of Horace, 2010, Oxford, Aris and Phillips ( ISBN 978-0-85668-844-7).